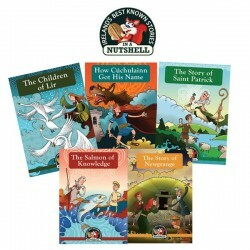 Pack includes 8 Irish and 8 English Nutshells . 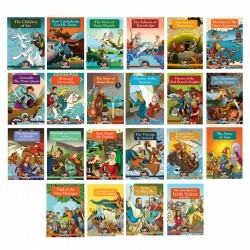 . . a wonderful collection. 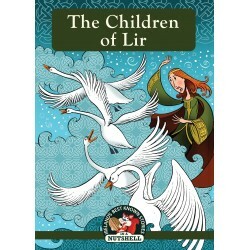 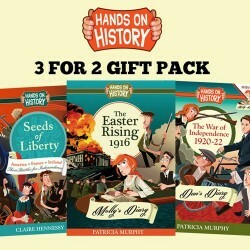 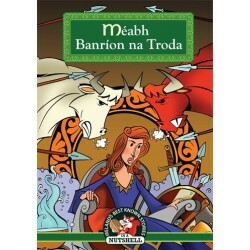 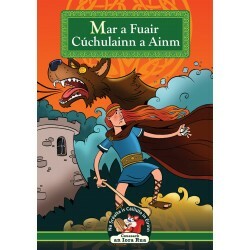 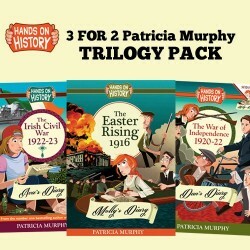 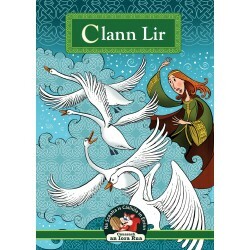 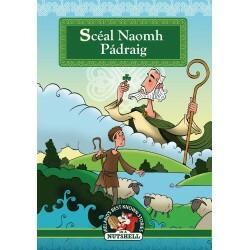 Book 3 in IRISH of the In a Nutshell Heroes series. The 8th book in the 'In a Nutshell' Heroes series. 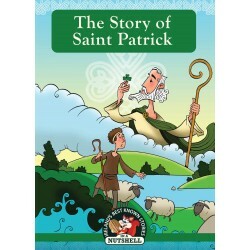 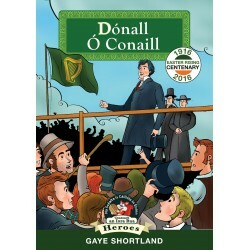 Wonderfully told by Gaye Shortland and beautifully illustrated by Derry Dillon. 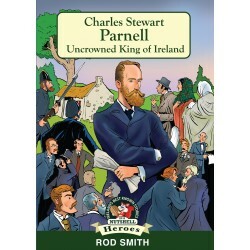 The 2nd Irish Edition in the 'In a Nutshell' Heroes series. 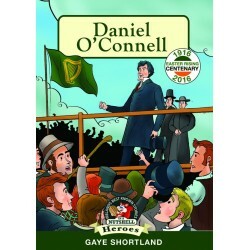 Wonderfully told by Gaye Shortland and beautifully illustrated by Derry Dillon. 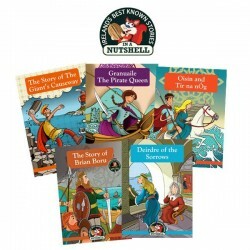 Introducing the 7th book in the 'In a Nutshell' Heroes series. 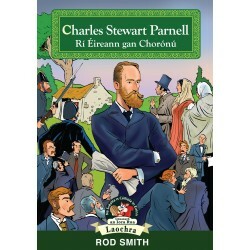 Beautifully illustrated by Derry Dillon. 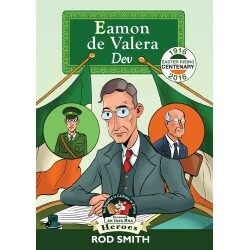 Written by Rod Smith. 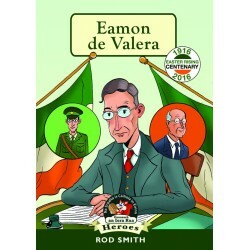 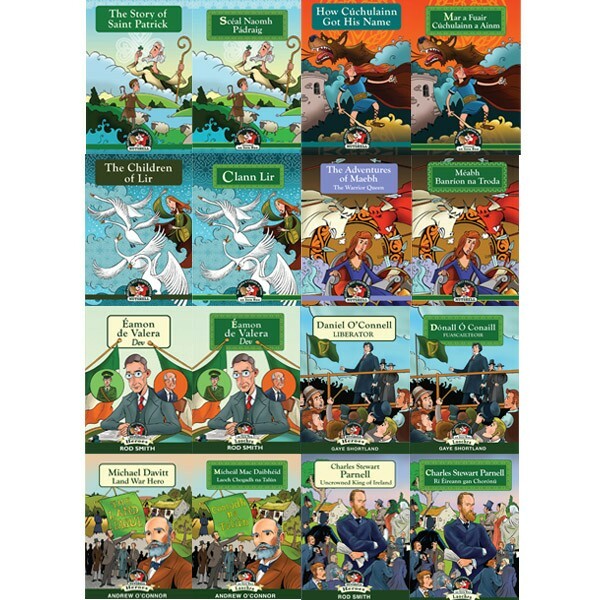 First Irish Edition of Éamon de Valera in the 'In a Nutshell' Heroes series.